These photos were taken by Tony Kerrigan. See also the photos on page 2 taken by Fred Westcott Click on images to view full size. 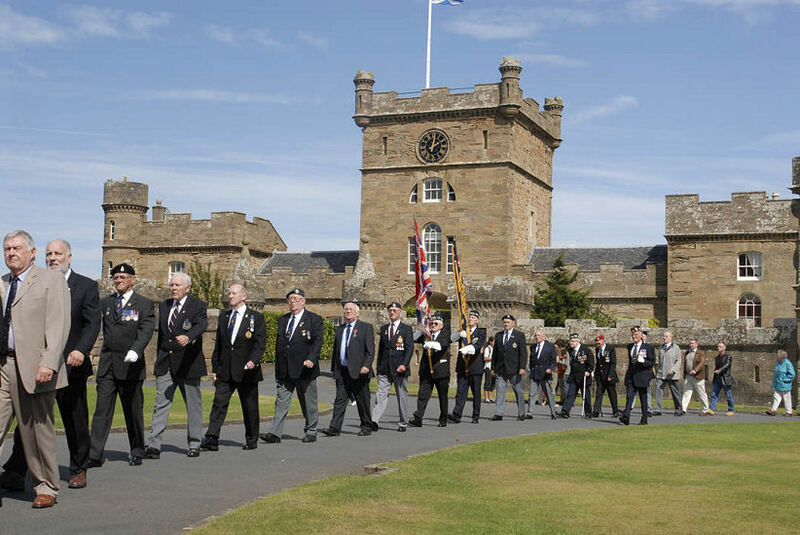 On Sunday, in brilliant sunshine, the standards of Maybole branch of the Royal British Legion Scotland were handed over to Culzean Castle for safekeeping. 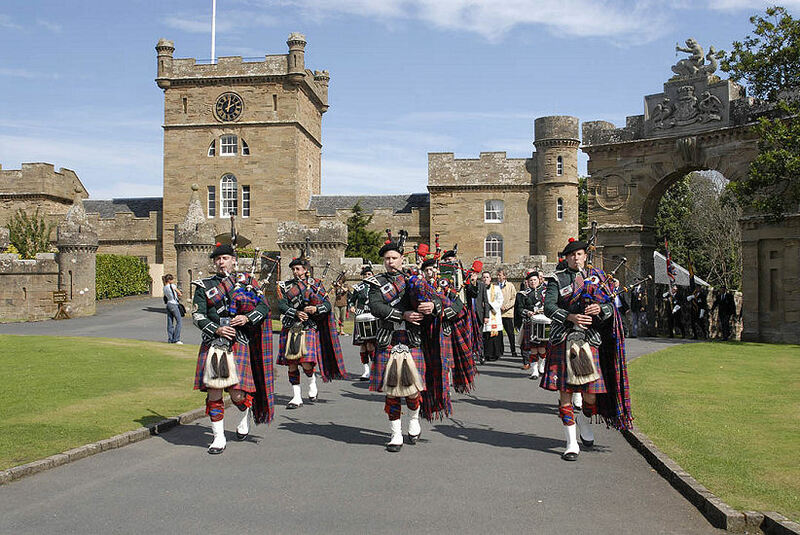 In 1921 Field Marshal Lord Haig was at Culzean on a visit to the Lord Lieutenant of Ayrshire, The Marquess of Ailsa and from that visit that Maybole branch was formed as the first branch in the United Kingdom. 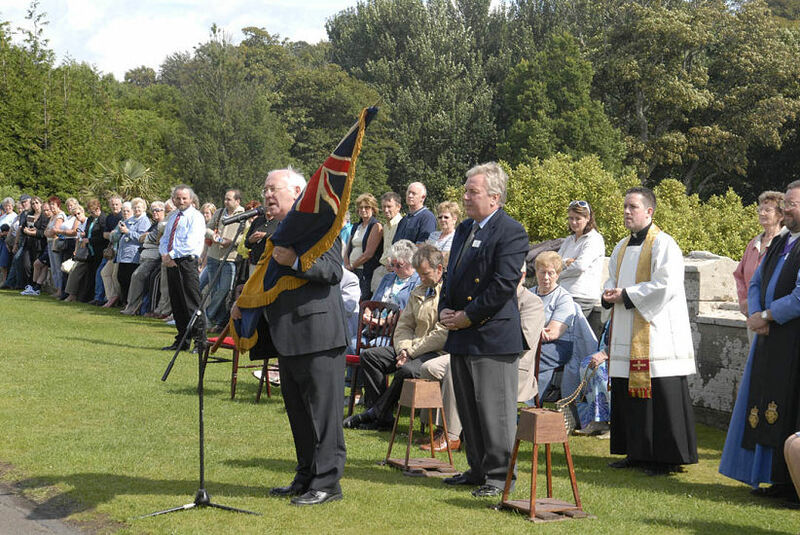 At a Drumhead Service held in Maybole Memorial Park on June 25, 1939 the Branch was presented with their first Queen's Standard and a Branch Standard. 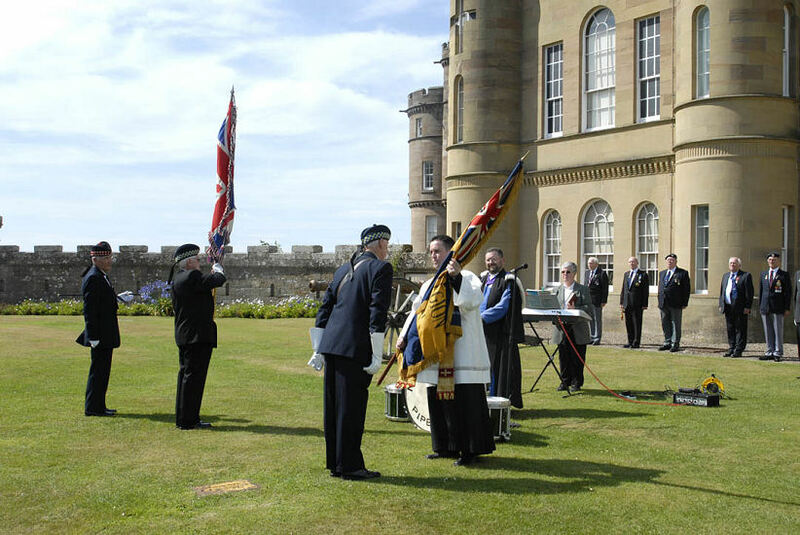 That first Branch Standard was laid up for safe keeping at Culzean Castle on June 30, 1996 and was retained in the main entrance to the Armoury. 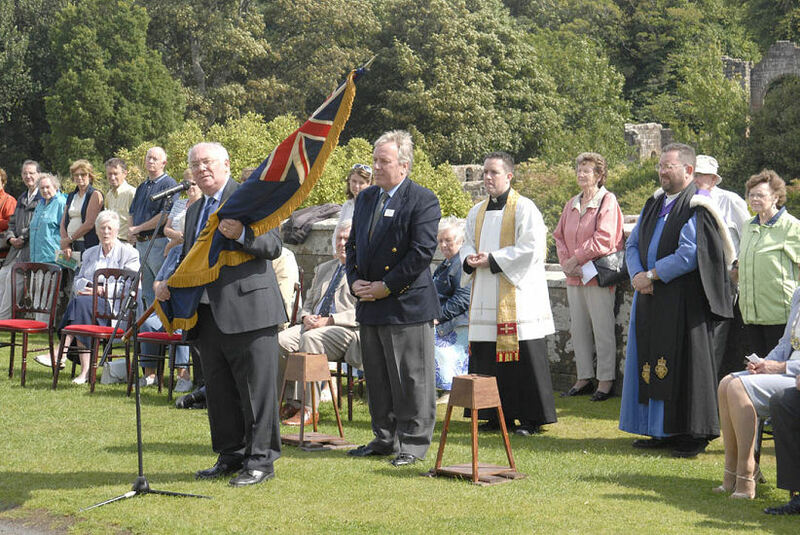 The first Queen's Standard, which for many years had been carried by the town's Women's Branch, was laid up in Maybole West Parish Church on June 24, 2001. 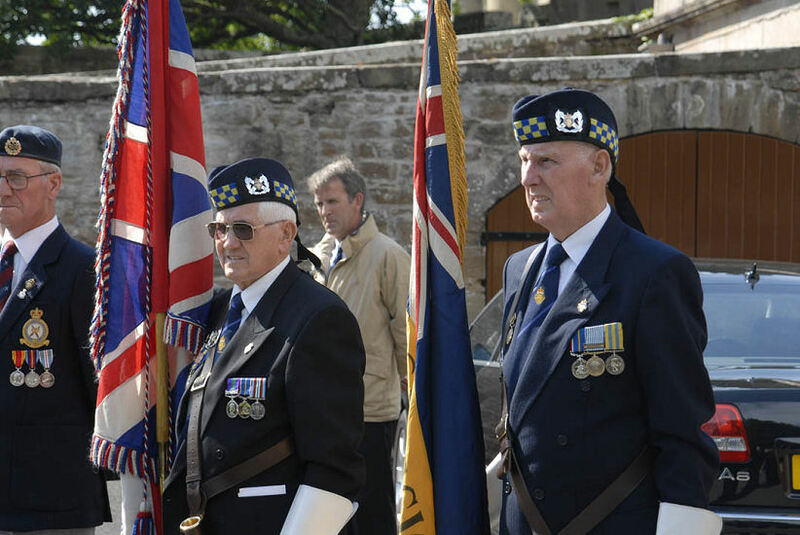 In June this year, the Branch Standard was taken back by the branch as it was required for a unique service of Trooping of the Colours at Maybole Gala day. 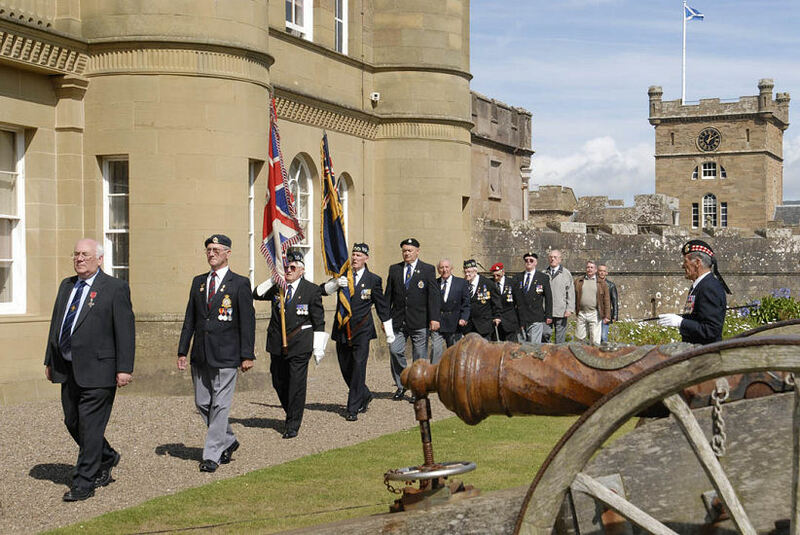 Sunday’s event was held on the front lawn of Culzean Castle, overlooking the Fountain Court. In addition to returning that Standard, the branch’s Royal Standard was to be handed over for safe keeping. Invited guests included Mary Kilpatrick, Depute Provost of South Ayrshire Council, Branch President Colonel John F Dalrymple Hamilton. OBE; TD; DL, Police Inspector Stewart Gaudin and Councillors Alan Murray, Brian Connolly, John McDowall and Ian Fitzsimmons. David Hunter, Branch Chairman, was Parade Marshall. Jim Campbell sounded "Fall In" and "Advance" and Maybole Pipe Band led the parade on to the lawn. 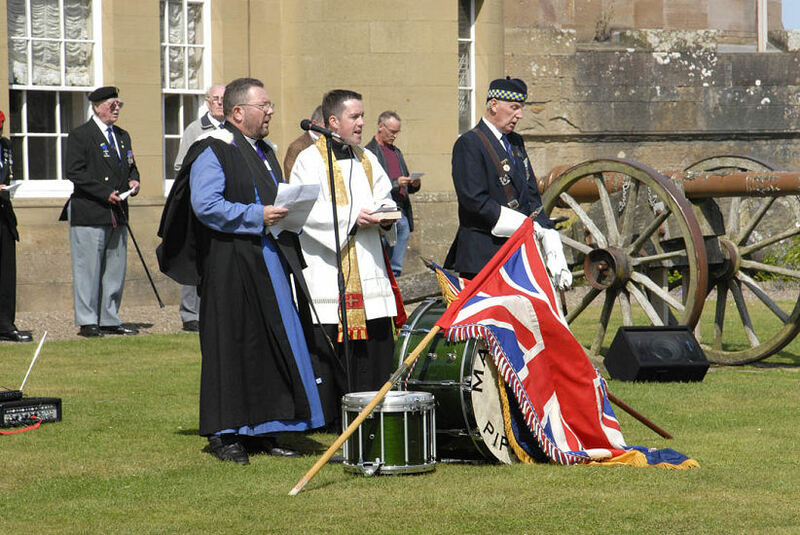 Their drums provided the altar for the service which was conducted by Branch Padre Rev David Whiteman and Fr Stephen McGrattan. 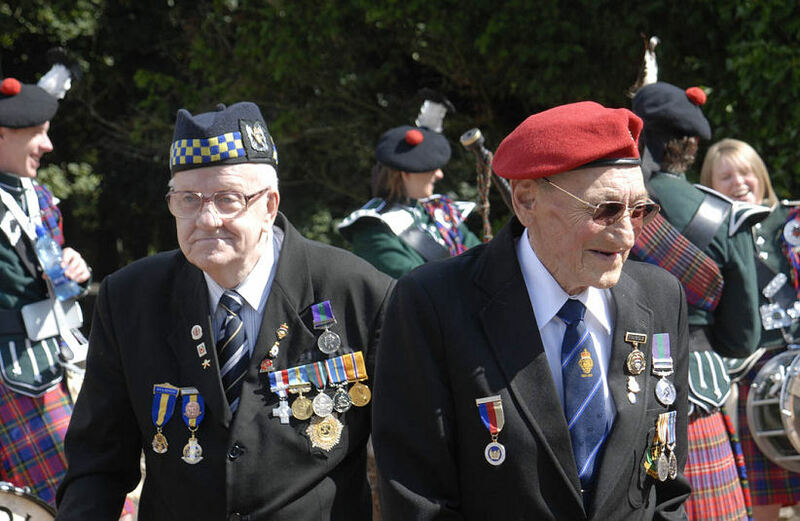 The two standards were carried by Robert Malone and William Milligan who passed them to David Kiltie and George Taylor who in turn passed them to Mike Schafer, Property Manager for Culzean who accepted them for safe keeping on behalf of the National Trust for Scotland. The service began with Mr Whiteman welcoming everyone and explaining what was about to happen and then introducing the hymn “Guide me o thou great Jehovah”, with Gwen May from the Baptist church accompanying on the organ. Fr McGrattan read Psalm 20 and Mr Whiteman then said, “Today we gather to lay up the original colours of Maybole branch of the Royal British Legion Scotland which were dedicated in 1939. Psalm 20 reminds us that we lift our banners in the name of the Lord our God and so all military colours are dedicated to him. Colours were originally used in battle as a rallying point, the colours stirred the soldiers into action, colours were carried into battle with pride. The standards that we are laying up today represent the ideal of Service to God, Queen and Country. 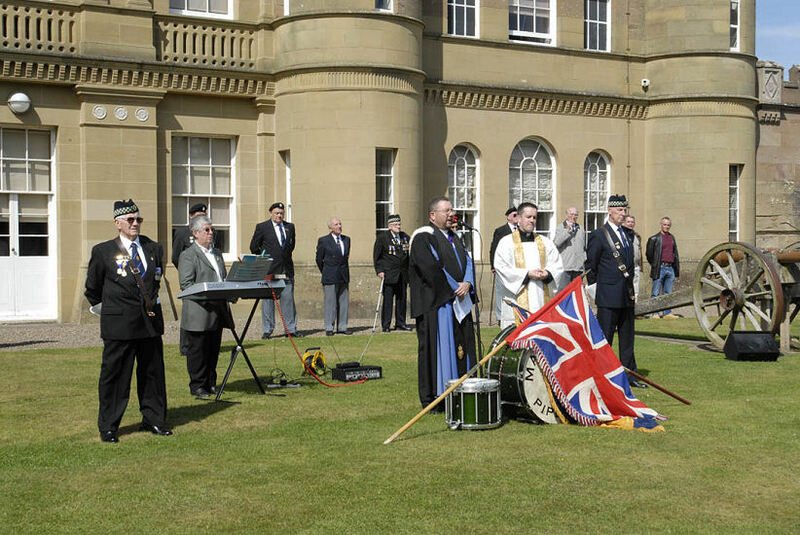 The Union Flag bears the crosses of St George, St Andrew and St Patrick. Beneath these crosses all the great epics of chivalry in our history have been achieved. 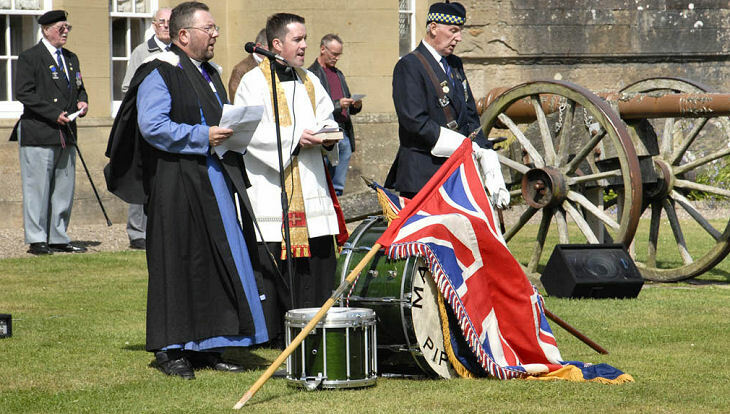 The union flag brings those great traditions together in unity. 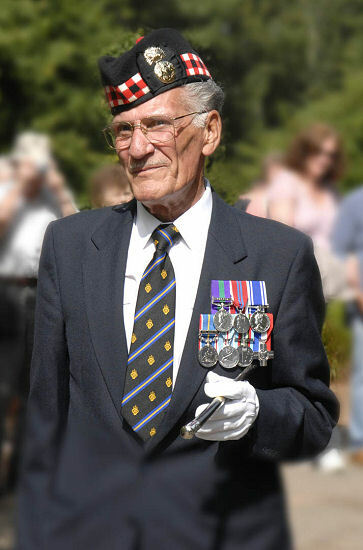 Added to the crosses are the Blue and Old Gold of The Royal British Legion Scotland. The Blue reminds us of all of those who have died on the sea and in the air and the Gold represents those who have died in the service of their country on land. The tassels remind us of the beginning and ending of life and the cord the golden line along which all Legionnaires pass during their brief sojourn on earth. The Golden Fringe depicts an encompassing border which binds us all together. And so we have represented on our Standards, our Service to God, Queen and Country. Our Standards are no mere flags and bunting; they are sacred emblems which have been solemnly dedicated. Beneath their folds, in keeping with our motto:-"Service Not Self" all brothers-in-arms may seek solace and relief. Our Standards throughout the United Kingdom are all of like design as emblems of brotherhood and equality and embrace the fact that we are non sectarian or directly or indirectly connected to any political party. 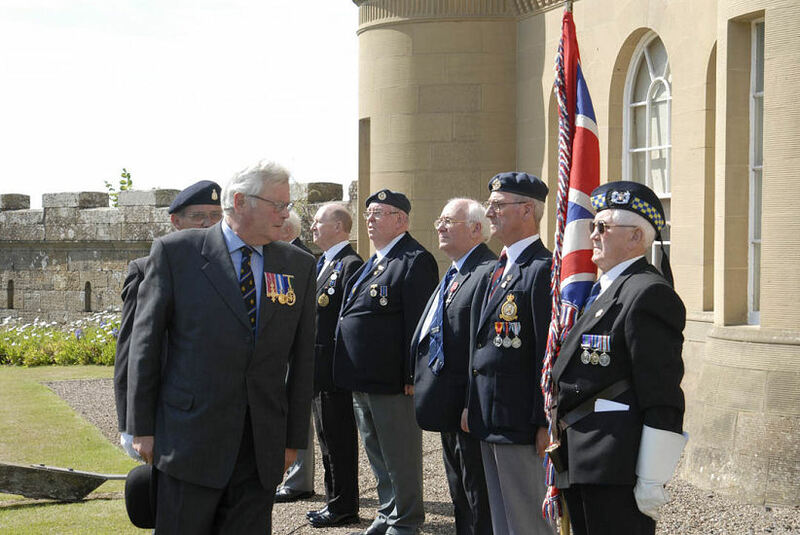 The drummers then collected their drums and William Milligan handed the Branch Standard to David Kiltie who carried it to Mike Schafer saying, "Sir, we return to Culzean Castle this Branch Standard of the Royal British Legion Maybole Branch for its continued safe keeping". Mr Schafer replied, "I accept the charge." He then handed the standard to Mr Schafer who replied, "On behalf of The National Trust for Scotland, I accept the charge." The parade then marched off to the car park for dismissal.